When Jill Moorhead, the Marketing Director for The Hills Market suggested holding an Ark of Taste tasting event at the store, I don’t think she had any idea what she was letting herself in for. The US Ark of Taste is a catalogue of over 200 foods in danger of extinction, and not surprisingly things in danger of extinction aren’t easy to track down. 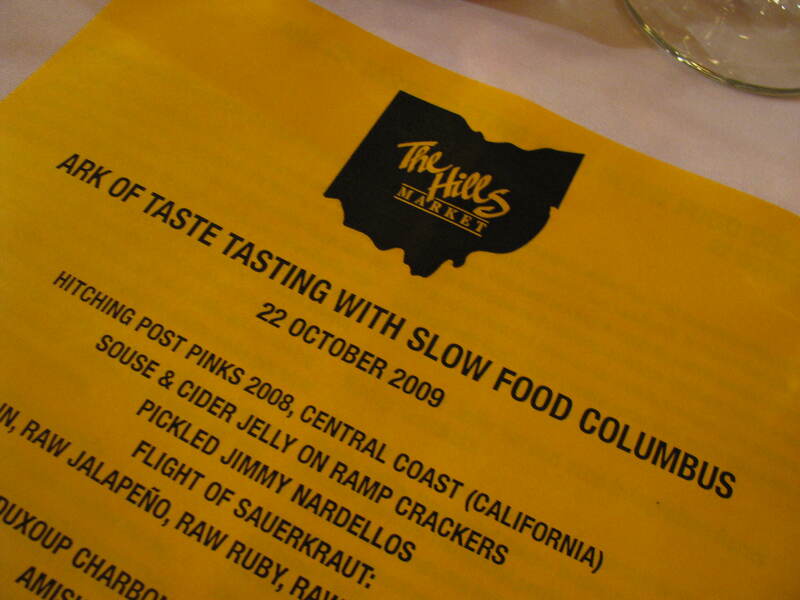 You can read about Jill’s scavenger hunt on the blog Itinerant Foodies. Outstanding in terms of taste—as defined in the context of local traditions and uses. At risk biologically or as culinary traditions. Culturally or historically linked to a specific region, locality, ethnicity or traditional production practice. 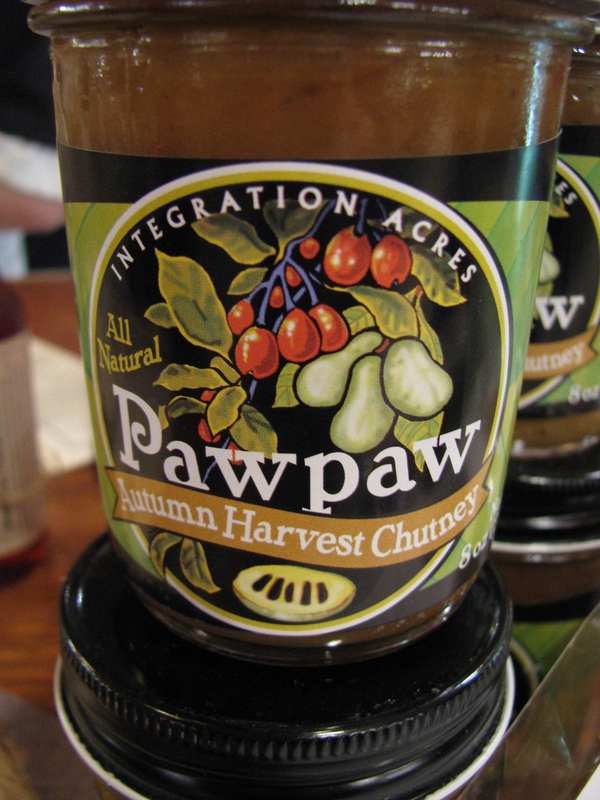 Produced in limited quantities, by farms or by small-scale processing companies. While some of the foods came from such far corners of the country as Vermont, California, Minnesota and Hawaii, many of the ingredients were grown or produced locally. Most of the fresh produce came from the local Wayward Seed Farm. The choice of foods was based partly on availability and transportable and also with a view to what Hills customers might be interested in purchasing in future. Here is the list of foods that we tasted. A flight of American artisinal sauerkrauts (Hawthorne Valley Farms, Ghent, NY). 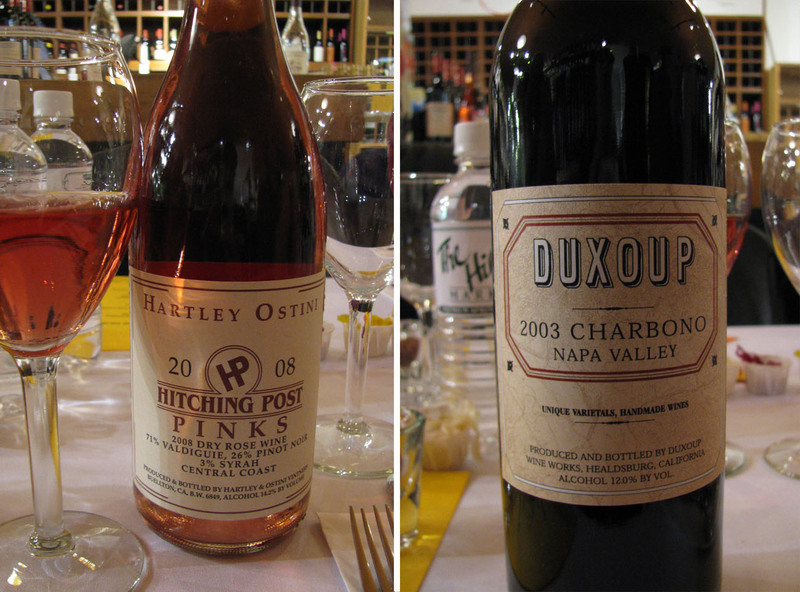 Jill also managed to procure two Ark of Taste wines (Hitching Post Pinks & Duxoup Charbono) and a non-alcoholic Ark of Taste drink called ‘shrub’ which is a colonial era drink made of fruit, vinegar and sugar by Tait Farm Foods in Centre Hall, PA. It comes in a variety of flavors and can also be used in cooking. Each of the foods has an interesting history and associated food traditions and we were provided with information about each food. For each item we were asked to give feedback on whether we would want to eat it again, or whether we could understand why it was facing extinction. There was certainly a lot of discussion. 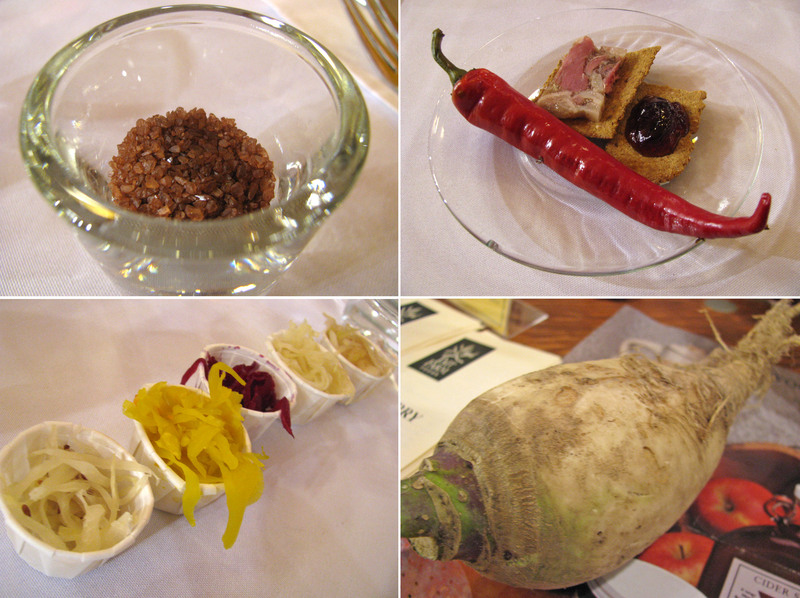 Clockwise from top left: Alaea traditional Hawaiian table salt (the color is from red volcanic clay), Jimmy Nardello pepper with souse, cider jelly and ramp crackers, the Gilfeather turnip from Wayward Seed, and the flight of artisanal sauerkrauts. Wild rice is the only native grain to North America and this was one of the popular dishes. It was a light brown color and different to many of the more commercial wild rices. 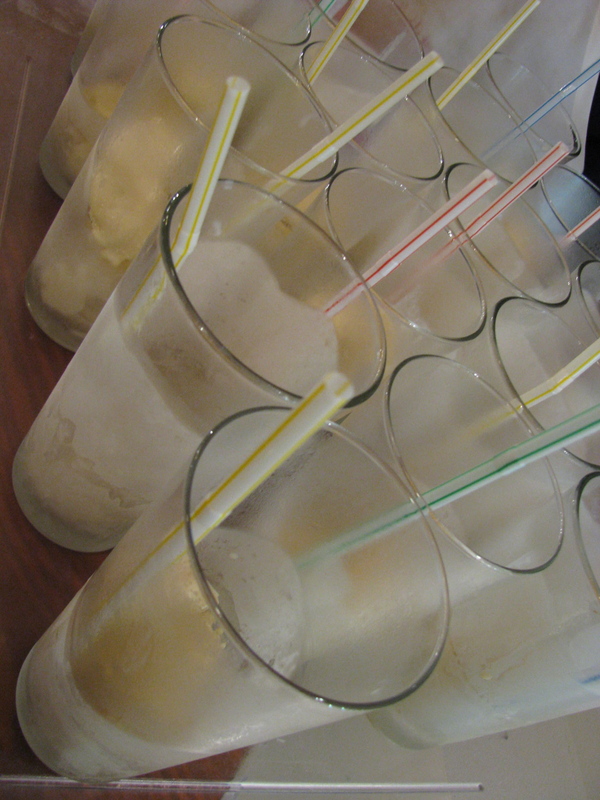 The pawpaw ice cream, which was served as a float with ginger shrub was also popular. 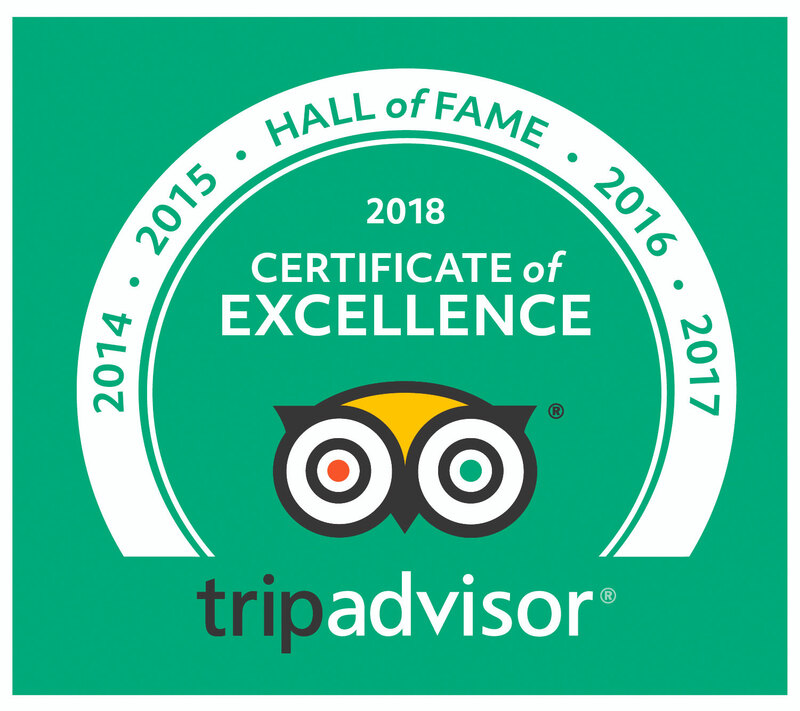 We are extremely grateful to Jill for such a great idea and for all of her hard work and persistence in tracking down Ark of Taste foods. She was assisted by Jen Burroway, the chef at the Hills Market, who was challenged with coming up with creative uses for all of the varied and not necessarily compatible ingredients. 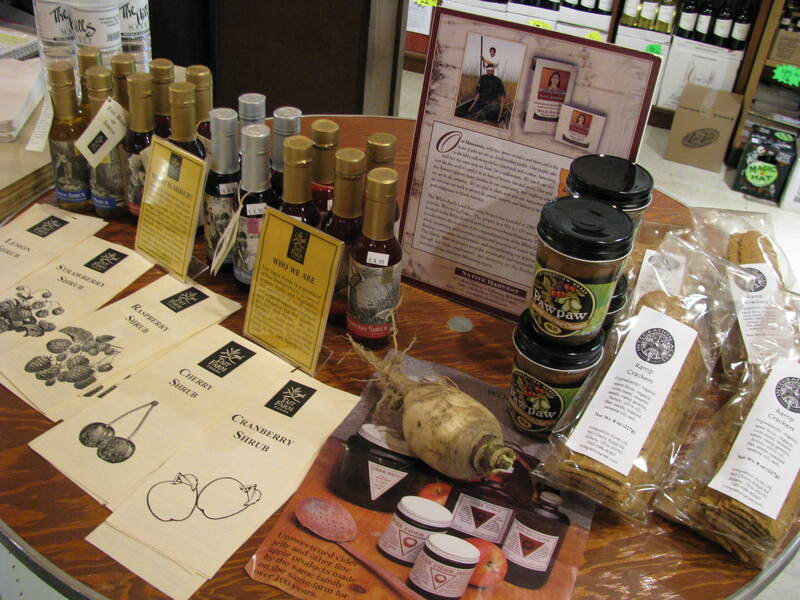 More information about these Ark of Taste foods and many more are available on the Ark of Taste website. You can also nominate foods to join the Ark. I have a US edition of Good Tempered Food by Tamsin Day-Lewis. on page 266, there’s a recipe called Upside Down Cape Gooseberry and Almond Cake. 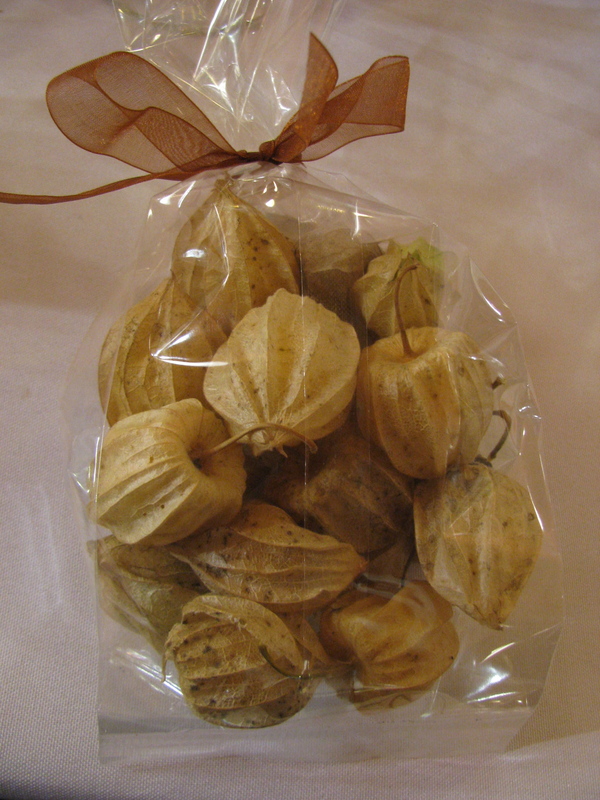 I suggest that Ohio Ground Cherries could be substituted for the Cape Gooseberries.